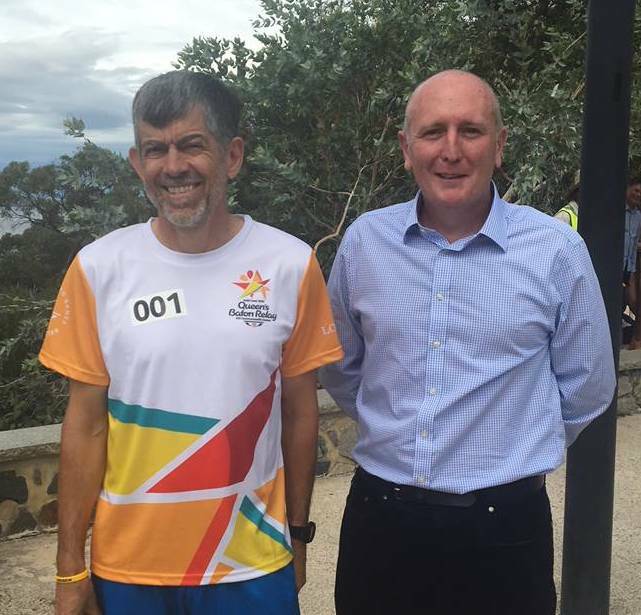 Dr Tony Scalzo is pictured here with the Hon Stephen Dawson, Minister for Environment; Disability Services before completing his section as a Batonbearer for the Kings Park section of the Queen’s Baton Relay to the Gold Coast 2018 Commonwealth Games. Tony has been an integral member of the Kings Park community and a member of the Friends for more than 23 years. https://i0.wp.com/www.friendsofkingspark.com.au/wp-content/uploads/2018/02/Tony-and-Minister-1.jpg?fit=404%2C387&ssl=1 387 404 Pippa Moodie http://www.friendsofkingspark.com.au/wp-content/uploads/2019/01/fokp-2018-logo.jpg Pippa Moodie2018-02-26 12:36:262019-02-01 14:06:30Congratulations Tony!